You’re invited you to this workshop on Thursday 25 October, as part of the PB Festival, focused on equalities. With our partners; Glasgow Caledonian University, Glasgow Disability Alliance (GDA) and West of Scotland Regional Equality Council (WSREC), we will discuss how PB is progressing to include those most at risk of being marginalised in society and reflect on what is working and what we need to do to be more inclusive in the future. PB must do more than the legal minimum to avoid discrimination and make reasonable adjustments. 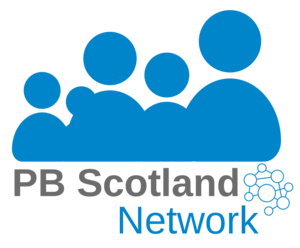 We can deliver PB in a way that often reaches marginalised groups by using the National Standards for Community Engagement, involving experts with experience from the start, coproducing PB processes with them. The workshops will be held in Teachers Building - Williams Room 2nd Floor, 14 St Enoch Square, Glasgow on 25 October 10am - 12.30pm (tea and coffee will be available from 9.30am). I'm happy for my information to be used to send me information about this Webinar.